Attorneys Specializing in Employment and Personal Injury Law. At Printy & Printy, P.A. we specialize in employment law, personal injury law and automobile accident law. We believe every client is important and we strive to give each client the attention and service they deserve. We always ensure that every client is kept informed of the developments in the case. In our 35 years of combined legal experience we have learned that nothing is more important than serving the client and providing a good result. We offer free consultations to clients in matters of employment law and personal injury. Gary Lee Printy, Sr. will continue to operate the Tallahassee, Florida office, while attorney Gary L. Printy, Jr. practices at our office in Tampa, Florida. When you find yourself facing a difficult or even frightening legal situation, you need attorneys who have the knowledge, strength and courage to get you the relief you deserve. 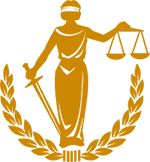 Our knowledge of the law and our proven record of success speaks for itself. Call today for a free evaluation of your case.